Pope John XXIII was elected on 28 October 1958, when I was twelve years old. He wanted to open the Vatican windows and let some fresh air into the Church. He called for aggiornamento, or ‘updating’. He was going to call a Council. An Ecumenical Council is a big and rare event in the Catholic Church. In union with the Pope, it exercises supreme and full power. 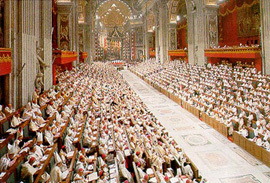 The Second Vatican Council opened on 11 October 1962, fifty years ago, attended by some 2,500 bishops and numerous advisers. In that same year I won a prize for religious knowledge, a book called Life of Christ. On the opening page it reads: ‘What is evil for the world is for Jesus a good; what the world deems good, for Jesus is an evil.’ This interpretation reflects John’s Gospel, where ‘world’ refers to corrupt powers. Vatican II turned this view upside down. In its opening prayer, the Council sought to place the Church ‘in the midst of this world’. To my mind, this was the over-riding theme of the Council. This Council wishes to set forth more precisely to the faithful and to the entire world the nature and encompassing mission of the Church…. Secondly, Vatican II was a pastoral council. It described the Church as sacrament and as people of God and developed the roles of the hierarchy and the laity in leadership, liturgy and participation in the joys and sorrows of the world. The Council thus transformed both the Church’s internal practices and its external relationships with other denominations, other religions, and the whole struggle of humanity. The Church chose to enter into humble dialogue rather than to pontificate from on high. The world’s languages and cultures and arts and sciences and struggles became important. I hope one day, as we continue to enact Vatican II, we can see the world not only as a place of corruption, but also as a place of incarnation, a place loved and redeemed by Jesus Christ, the theatre of God’s action, a place of spirit and grace and hope. John Honner is a member of St Michael’s Parish in Nowra. He was a founding editor of Pacifica: Australian Theological Studies, and teaches theology on-line at both the Broken Bay Institute and the United Faculty of Theology in Melbourne. Welcome to this month’s edition of “Liturgy Notes”, the liturgy and music section of the Faith & Life e-newsletter. 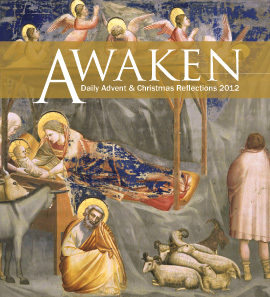 As the year draws to a close, it is time to reflect on the developments in liturgy in the Diocese in 2012. This year the Diocesan Pastoral Plan focused on New and Renewed Models of Ministry. In the context of our goal for liturgy, that our celebration of the Mass be an uplifting experience of the community at prayer and worship, we placed significant focus on further developing liturgical ministries. In May we launched the PSALMIST Programme for Music Ministry Development in parishes and schools. 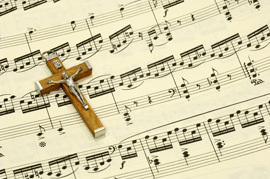 The programme outlined the Model for Music Ministry that will be supported in coming years and introduced a scholarship programme for development of cantors and accompanists. More than a dozen scholarships have commenced and a number of scholarship applications are in process of being fulfilled. The success of the programme means that it will continue into 2013. We also conducted training and formation in key areas of ministry with more than six hundred attendees at the various events held for Acolytes, Adult Servers, Extraordinary Ministers of Holy Communion, Readers, Sacristans, Children’s Liturgy Leaders, Hospitality Ministers, Cantors, Organists, Accompanists, Voice Trainers, Choir and Music Directors. The focus for 2014 is on the development and launch of the School of Liturgy, offering a range of Certificate level studies in liturgy and music. In our ongoing series reviewing the various seasonal psalms, this month we look at Psalm 72 – Lord Every Nation on Earth. This month’s article on upcoming Music Selections for Mass includes recommendations for January 2013. Have you ever felt the joy of being fully included? This may seem a strange question, but how often do we truly experience being part of something – a group, our church or local community? It is a feeling of empowerment, of security, of meaning and purpose. Usually this experience comes through the efforts of others creating an opportunity, a chance or an invitation that fosters our participation. These people ‘make space’ for us where we can share our own gifts and talents for the betterment of others. Throughout our Diocese many parishes are ‘making space’ to enhance the inclusion of everyone within their community. Some actions have included taking out a couple of pews to allow wheelchair access, providing some cushioned seating for our elderly and encouraging children with autism to become altar servers. 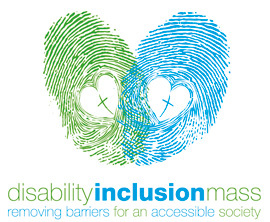 Sr. Ruth Davis, Diocesan Disability Advocate, in advertising our upcoming Diocesan Inclusion Mass writes “The presence of people with disability and their families can bring a perspective into parish life that is invaluable. The spirit of Christian hospitality encourages us to invite people with a disability to participate as fully as they wish. This may mean a willingness to "go a little further: to change or adapt in order ensure that all feel welcome in our parishes”. So, how is your parish doing, how have you ‘made space’ recently giving someone the feeling of empowerment and opportunity to share their gifts with the community? 5th. June 1947 at Castlecrag, Sydney. A Health Drink containing Greens and an Egg. What inspired you to become a Deacon? I had an inner restlessness and then after listening to a Sydney Deacon Rev. Paul Naggar talk about the role of a Deacon in the contemporary Church I became drawn to a life of serving the disadvantaged as a Deacon. What is the role of ‘Prison Chaplain’ and what does it involve? Assisting Prison inmates and staff with their own Spiritual Growth by being a companion on their journey, being an active listener, and striving to get each person in your care to believe that they are truly loved by a loving and close God. Jesus Christ and then too many to mention. What has brought you the greatest joy and most challenge in your life as a Deacon and Chaplain to the Prison? Witnessing inmates change their lives to become people who love and care and commit themselves to change and become law-abiding citizens. By appreciating more the inner peace associated with the sacraments, prayer life and the love and companionship of my wife, family, friends and church community. Finding Jesus with the marginalised. The church offers the world both joy and hope when its members live their vocation of loving God, neighbour and self. This presents to a highly individual and secular society an alternative that is characterised by deep inner meaning and purpose for living and the joy of experiencing a loving and vital community. Ever been out bushwalking and come to a fast flowing river rushing through a gorge? How do we cross the divide? A recognised gap exists between parish, family and school. While our literature affirms the one community where all individuals and families gather for worship, to have their children educated and their faith nurtured, the reality can be very different. A parent in the parish primary school may refer to the local community as “your parish” or “your church”. They may not recognise that they are a member of a broader community. Equally, the Sunday worshipper with no children at the parish school may talk about “your school”. Such talk becomes the seedbed of frustrations for simple things like sharing the car park, let alone sharing in Christ’s mission. Is it the school car park or the parish car park? These tensions become fault lines and soon everyone needs to mind the gap. Across the divide, one community can become the scapegoat for the parish. School can be accused of not supporting parish; families can be seen as not taking responsibility for children; church is accused of being out of touch with family and school. Part of the complexity in parish life is that there are many communities within the parish. A school builds its own identity. Each parish Mass is its own community. There are other smaller communities (eg sports clubs) which may form. Each of these communities may create its own schedule of dates, events, and resources. There is potential for double bookings (eg First Communion and Awards Day for Soccer!). In the absence of any formal connections, each of these communities runs the risk of either ignoring the others or pushing their agenda to the expense of the other. To move beyond minding the gap, we need to look at ways of building bridges. A first step is to identify representatives from groups and share communication. Sharing dates early, sharing bulletin notices between schools and parish, families indicating when major commitments are on (eg sporting finals, dance concerts) and sharing these communications with state school children through our catechists. Communication is a first step as it recognises and values the contributions of the different communities in parish. Consultation moves us beyond an awareness of each other to an engagement. We cross the bridges for a chat. This may mean Parent, Teacher and Friend Committee sitting with school executive, catechists, state school parents and parish pastoral council. If the parish is having a picnic, it can ask parent representatives and school representatives for their input and assistance. In the same way, the school grandparents’ day can benefit from suggestions from parish pastoral council. Rather than posting information we ask: What do you think about this event, these dates, the way we are communicating this? Consultation only goes so far. There is still a sense of separate communities with separate agendas. Co-responsibility is where the representatives come together to form a common vision – namely, how do we live Christ’s mission? Working together collaboratively, they shape a common vision, common goals and consider how they will achieve these together. Rather than asking would you like to help with the parish sacramental process, each group - family, school, church – sees the value of sacramental preparation and works together towards common goals. Rather than building bridges, all members of the parish work together to become the bridge to the broader community, to become a strong, united agent of evangelisation.